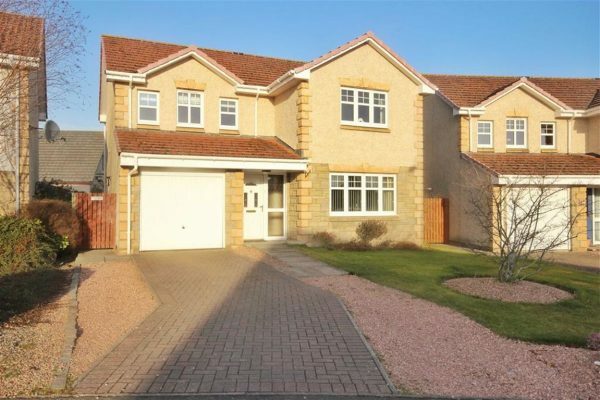 This generously proportioned detached villa comes to the market in excellent decorative order, and is well positioned in a popular residential area of Balmullo with easy access to the local amenities including shop, doctors’ surgery, primary school and pub. 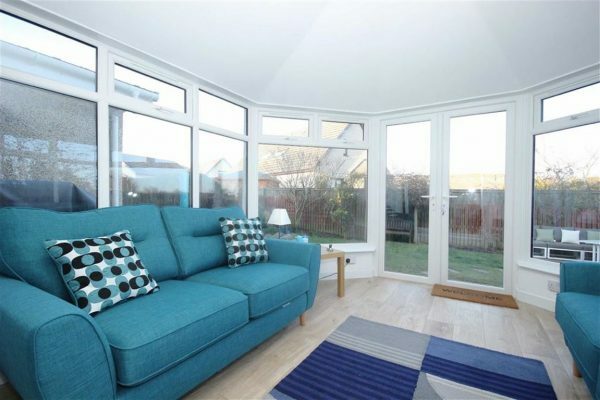 Balmullo itself is well situated for commuting to large centres including Dundee, St Andrews, Cupar and further afield via the mainline railway station two miles away in Leuchars. 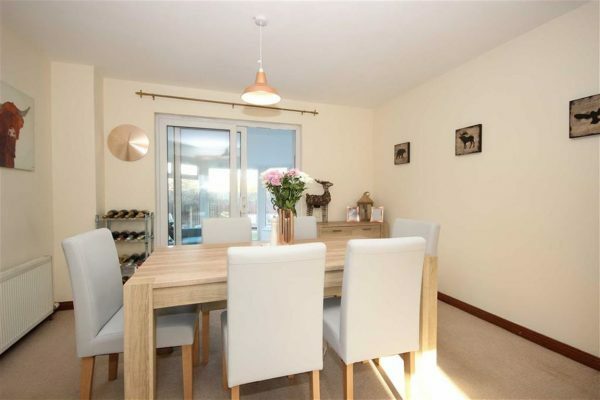 Number 10 is a spacious family home, with a living accommodation that flows beautifully, and generously proportioned bedrooms with plenty of storage. 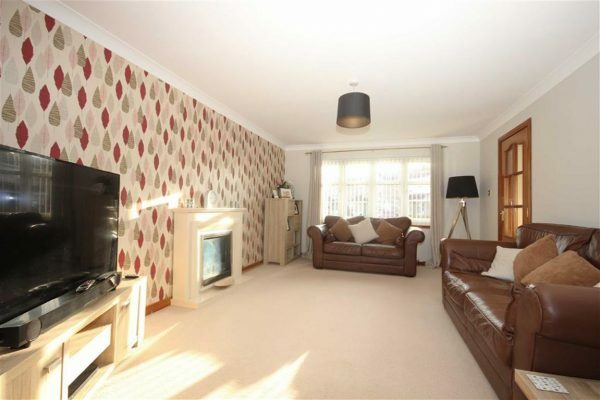 It benefits from gas fired central heating backed up by sealed unit double glazing throughout. On the ground floor, the large lounge is positioned to the front of the property, and glazed double doors open to the dining room, which in turn has further doors opening to the kitchen and to the garden room. The garden room has been newly constructed to replace the previous conservatory and so enjoys the benefits of improved insulation and fresh decoration. It is fitted with power and light, and doors open to the garden. 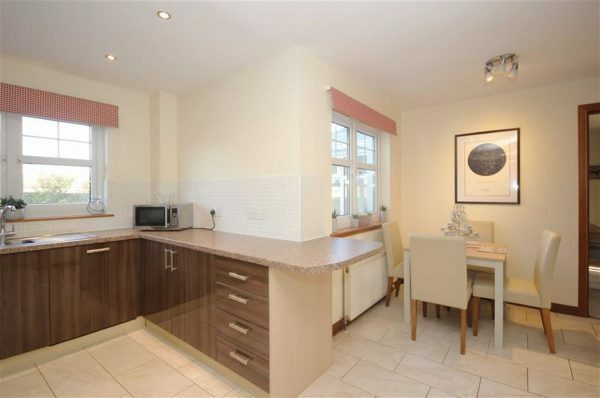 The kitchen is an L shaped room providing an area for a breakfast table separate from the kitchen space. 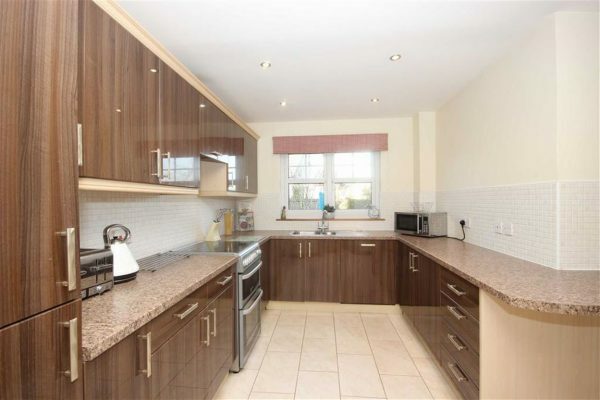 It is fitted with modern high gloss walnut wall and floor units, with integrated dishwasher and fridge freezer, and the free standing cooker will be included. From here a further door opens to the utility, fitted with washing machine, tumble dryer and sink and drainer, and from where doors open to the garden and to the integral garage. 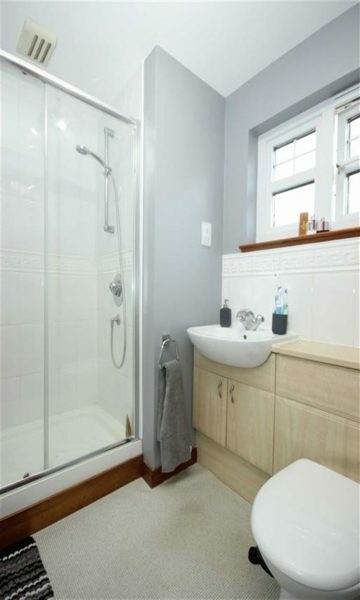 Also at ground floor level is the cloakroom which is fitted with wc and sink. Upstairs are the four bedrooms and family bathroom. 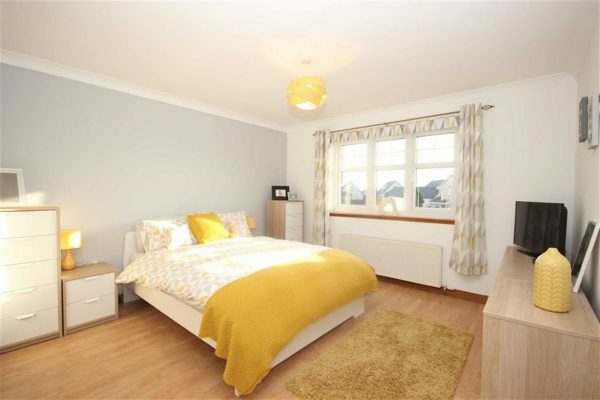 The master bedroom is spacious and fitted with a cupboard and a wardrobe, and an en-suite shower room equipped with wc, sink and double shower cubicle. Bedroom 2 is also positioned to the front and fitted with a wall of wardrobes. 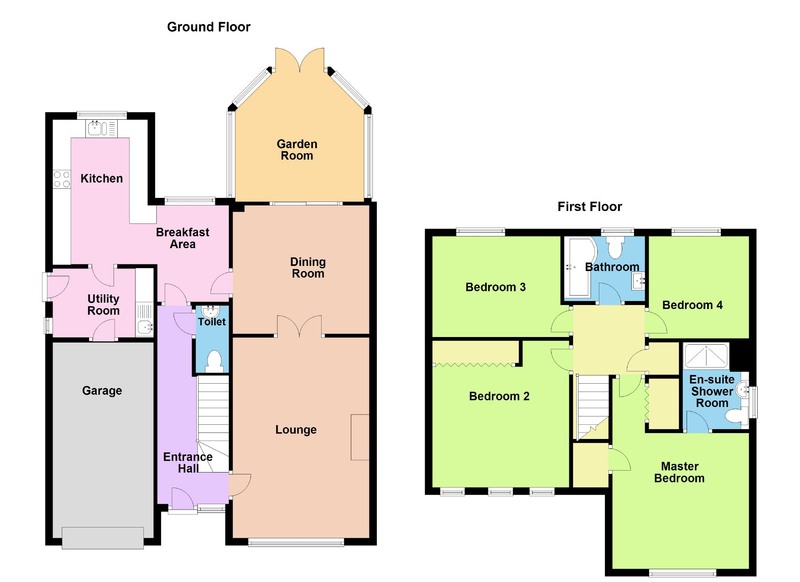 Bedrooms 3 and 4 are to the rear of the property and are both spacious rooms. The modern bathroom is equipped with a P shaped bath with over bath dual headed shower and screen, a wc and sink. On the landing there is a cupboard and a hatch giving access to the loft for further storage. The property has gardens to front and rear. The front garden is laid to lawn with a monoblock driveway leading to the garage and a stone path to the front door. The rear garden is fully enclosed and predominately laid out with lawn, with an area of patio to one corner providing an ideal spot for outdoor seating and al fresco dining. A rockery borders a stone chipped area which provides a perfect location for a rotary clothes airer, and there are borders to all edges with shrubs and bushes.